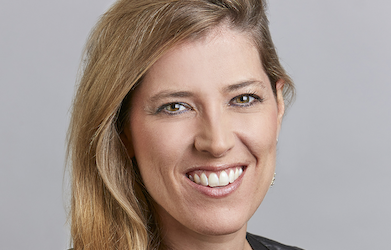 Dr. Alexis Crow leads the Geopolitical Investing practice at PwC, helping leading companies and asset managers to capitalize on dislocations in order to profit and expand around the globe. Previously, she was Managing Director at New York-based G2 Investment Group, where she was responsible for developing investment strategies for the firm, and for providing counsel on geopolitical issues across asset classes. Prior to joining G2, Dr. Crow was an expert at the London, U.K.-based think-tank Chatham House (Royal Institute of International Affairs), where she led a project on managing risk across cultural boundaries, and which facilitated dialogue between governments, business executives and thought leaders in key global hotspots. Crow is a regular speaker on economics, finance, and geopolitics in conferences and thought leadership forums in Europe, Asia, the US, and the Middle East. Previously, Dr. Crow was a Teaching Fellow at the London School of Economics and Political Science. She also worked as an analyst at the Royal United Services Institute (RUSI) in London, and managed the Centre for the Study of Terrorism and Political Violence, St. Andrews, Scotland. Dr. Crow holds a First Class MA in International Relations from the University of St Andrews, Scotland, and a Masters and PhD from the London School of Economics. She is fluent in French and Spanish, and has a working knowledge of Portuguese, Italian, and beginners Hindi. She has contributed frequently to international print, radio, and television media, including The Financial Times, The New York Times, Foreign Affairs, Bloomberg, BBC, BBC Arabic, France 24, Al-Jazeera, Xinhua, CNN, and The Huffington Post. Dr.Crow is a guest lecturer at Columbia Business School, and Columbia University’s School of International and Public Affairs (SIPA), she is also a Senior Fellow at the Richard Paul Richman Center for Business, Law, and Public Policy at Columbia University.